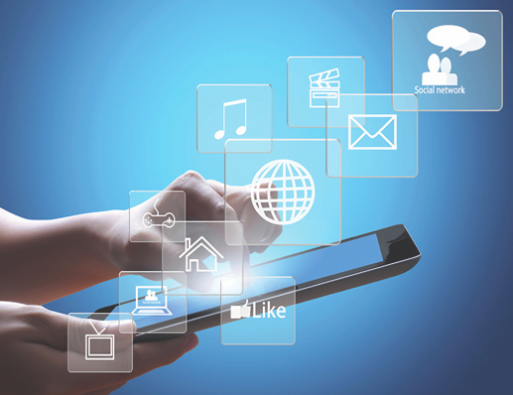 The ACCC released the preliminary findings from its “Digital Platforms Inquiry” yesterday and the potential implications of the 378-page report are enormous. The publication made international headlines over night as experts in Europe and American lauded the report and its attempts to put proper oversight in place as the digital platforms grow in their reach and influence. Despite the best efforts of the scribes at the ACCC the report itself is very difficult to follow in places. Regular Australians are probably scratching their heads about what the report means and why it is so important for them. So here is your thousand-word cheat sheet on what it says and why you should care. For starters don’t let the general term “digital platforms” fool you. The report is very much about Alphabet (the holding company that operates Google and YouTube) and Facebook (including its second brand Instagram). Pundits have regularly referred to these two companies as the “digital duopoly” and the report confirms the accuracy of that accolade. With almost exactly half of all advertising money in this country now being spent on digital media, Google and Facebook enjoy the majority share with 55 per cent of all online advertising in Australia. This dominant share is only likely to increase given these two companies are growing their share significantly faster than the rest of the industry. But why worry? Isn’t this just an example of market competition and new, digital offerings rising to the top? Partly, yes. But the ACCC is growing worried not because of the dominance of Facebook and Google but the implications of that dominance and the abject lack of competition and oversight in Australia. Specifically, we can boil the report’s conclusions and recommendations down to three key areas of concern and action. First, the impact that Google and Facebook have had on news media. There is a common myth that digital media have grown their advertising revenues at the expense of traditional media like TV, radio, cinema and outdoor media companies. As the ACCC’s report confirms this is entirely untrue. All four of these main media types enjoy almost exactly the same advertising revenues in Australia as they did fifteen years ago before the digital revolution began. Facebook and Google’s growth has come at the expense of only one traditional advertising player: news media and magazines. Billions of dollars in ad money that once flowed to newspapers has been redirected from classified ads to search advertising and from print ads to digital display advertising. The impact on news media in this country, given that 70 per cent to 80 per cent of a newspaper’s revenues originally came from advertising, has been catastrophic. 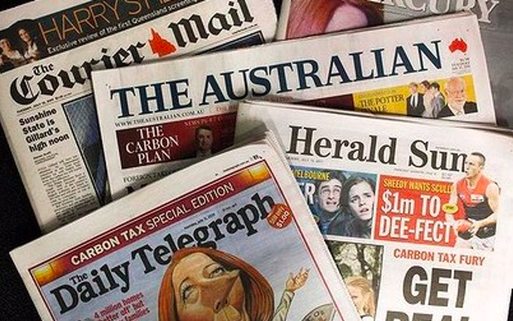 The number of journalists employed in Australia has fallen dramatically as a result. That’s a dangerous drop because the very thing that is causing this decline, the rise in digital media, is also presenting Australian society with new threats in the form of fake news and “filter bubbles” — as the report puts it. That latter term is especially pernicious. I had a row last year with my wife about whether coconut oil was bad for me given she was putting it into almost everything we now eat. Sure enough, a quick Google search revealed I was right and provided me with ample ammunition. But just as I was about to pounce and make my argument in the kitchen a little voice in my head suggested a second search. “Is coconut oil good for me”, I typed into Google. Sure enough, another set of links and articles appeared making a very persuasive case for eating the stuff all the time. That’s a filter bubble for you. You get whatever information you want, told your way. There is much more at play than the Ritson family’s dietary requirements. Replace coconut oil with vaccinations, immigration, climate change or a host of other incendiary topics and the potential for digital media to fan the flames of societal angst and division without any of the appropriate levels of cultural responsibility becomes clear. The fact that digital media is also at the heart of the decline in quality journalism which has traditionally operated as a responsible societal guide makes this aspect of the ACCC’s report especially important. As is the fact that without the referrals from Facebook and Google, Australian news media would struggle in many cases to survive. Digital media is supplying the bacteria of societal division while simultaneously reducing the cultural bleach, in the form of news media, that traditionally rectified the problem. The ACCC has suggested a range of oversight and regulation to ensure that, going forward, Google and Facebook are held to the same high standard as existing news media operators. Such moves are crucial because, up until now, both Google and Facebook have made much of their status as a platform and not as a publisher. They have enjoyed the financial rewards of supplying news to Australians but with none of the responsibilities of providing it. The ACCC now seeks to remove that illogical disparity within Australia. Aside from the impact of Google and Facebook on news media, the next big issue the ACCC addresses in its report is the issue of consumer data. The old joke about Google and Facebook was that their services are free because you, the consumer, are actually the product being sold. For a decade or more your information in the form of your personal habits, interests and other sellable information has been collected and then used as the basis for advertising sales by both Google and Facebook. That information is catnip for advertisers because rather than targeting a broad swath of the Australian population as they must do with TV or radio, they can now pay a premium to have their ads appear on the Facebook pages of people who have a pet, like to keep their home neat and tidy and earn more than $65,000 a year. Handy if you sell luxury cat litter. But again, the ACCC is concerned with this. Over and over again consumer research confirms that the majority of customers are uncomfortable with so much of their own personal data being collected and used in this manner. Marketers keep talking about how much more accurate and useful this information makes digital advertising, but consumers consistently reject that advantage in favour of privacy and anonymity. That preference for privacy has only grown as examples of data theft and the nefarious use of personal data and photographs has increased in recent years. The ACCC is keen to put this option of privacy into the hands of more Australians and it is here that the report probably makes its most extreme and practical suggestions. The ACCC wants to make it easier for Australians to have their personal data erased completely from a platform. It may even make the process automatic after a specific period of time — wiping all the data after a specific period of time or when a user vacates a platform and does not return. While that might sound a relatively trivial constraint on billion dollar businesses, in reality it is a business apocalypse for both Google and Facebook. They will not, cannot, allow this recommendation to have any kind of practical final application. Removing the ability to collect, analyse and then use this data to optimise digital advertising is their main strategic advantage over other media sources. Lose that, and Australians would become a dangerous exemplar for other countries of how personal data is protected and the digital duopoly constrained as a result. Big stuff. 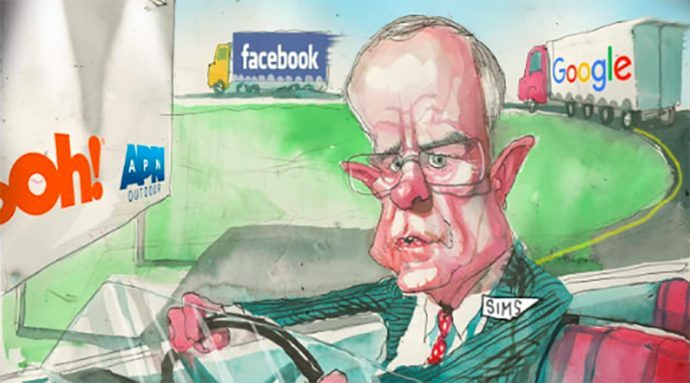 Finally, having covered the impact of digital media on newspapers and personal privacy, the ACCC report looks at matters it more normally assesses and the potential market dominance that both Facebook and Google currently enjoy. With both companies growing their share of the market and both continuing to acquire new platforms and businesses there is genuine concern at the ACCC that this market power results in unfair strategic advantage in the short to medium term. 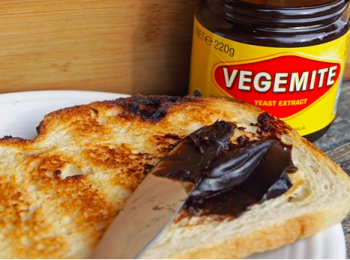 Google has, according to the report, a 96 per cent share of all search activity in Australia. No other category could, or would be allowed to, exhibit such singular dominance. Again, the ACCC is clear on its direction to ensure such market power is not entrenched further. Both Facebook and Google will be asked to provide advanced notice of any future acquisitions ahead of time to the ACCC for approval. That approval will be subject to more stringent assessment to ensure competition is not being removed from the Australian market and that data and scale are not being further entrenched by the acquisition in question. Finally, the ACCC might also push platforms to offer specific choice to consumers where currently there is none. It’s feasible, for example, that Google might be forced to offer a link to alternative search engines other than its own in Australia. Taken as a whole the ACCC’s Digital Platforms Inquiry is a watershed report. Its assessment of the current state of the Australian market is first class and the suggested changes to the current operation of that market are both practical and dramatic in their potential impact. The key question is what happens next. Both Google and Facebook will respond in time and then employ the usual lobbying and market access capabilities to attempt to water down and deflect some of these recommendations before they can be approved and applied. Australia has taken the lead here and that means the full global muscle of Facebook and Google will be applied to the matter in 2019. Expect some big global hitters to make an appearance here next year. Despite the general excellence of the report my own personal take on almost all of it is gloomy. This is outstanding work but it’s very 2008 in terms of scope and application. We’ve learned in the last decade to be sceptical about any government fines or legislation having any impact on Google or Facebook’s operations. They are global when governments are, by definition, national. Billion-dollar fines and strict censure from governments have — so far — had no discernible impact on either of the digital duopoly. We live in hope, and the ACCC certainly provide it here, but there is only one true weakness that these big digital firms truly fear — customer disaffection. As long Australians keep using the services of Google and Facebook there is little that can be done to prevent the further diminution of news media, the parlay of private data and the growing strength and scale of the digital duopoly. Mark Ritson is an adjunct professor at Melbourne Business School. He has a PhD in Marketing and works as an international brand consultant. He has been voted Professional Publishers Association Business Columnist of the Year in the UK three times.